Nugget is a very popular bittering hop for brewing with heavy herbal aromas. It was bred for its ability to store for many months and hold its acid content. 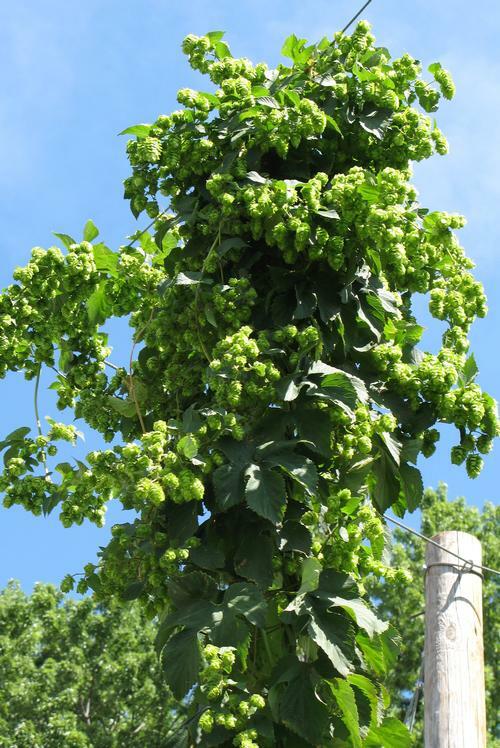 The dark green leaves are a great back drop to the large panicles of dangling hops in late summer. A very hardy and fast growing vine. Flowering bracts are used in the production of beer.